It’s a long alley that leads you to this glass-walled cafe. Even before you have stepped into this coffee shop you are greeted by a family playing at the carrom board placed outside along with some high chairs. A world of colours awaits you as you step inside, creating a warm, inviting atmosphere that you immediately settle into. A children’s play area in one corner, mismatched chairs – some wicker, some wooden and some boutique – and a swing chair in another corner create a lively ambience that’s instantly appealing. If we hadn’t known better, we would have treated Café ICanFlyy as just another café that has become the latest rage in Kolkata. But this café is unique because it is the first of its kind run by special needs individuals. It is a venture of the I CanFlyy Institute, which works in early intervention and skill building of individuals with special needs. Guiding us to a table, Meghna handed over the menu informing us the order had to be given at the counter and then she would serve us. She is part of the special needs crew. It was late evening and the café was bustling with customers. While children played in one corner, the parents or couples were engaged in board games, a number of which were stacked in shelves on one side. In an age when the smart phone gets all the attention from adults and children alike, the ambience of this café, located next to Maddox Square Park, was a welcome change. Café I CanFlyy is one of the many cafes in India that is driving change in multiple ways. The response has been so good that the café has expanded from a 25-seater one to a 50-seater space within a year. 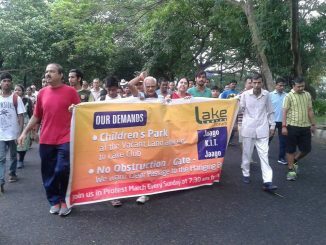 While on the one hand it is building awareness about special needs people, bringing them in contact with mainstream society and encouraging healthy interaction and understanding, it is also focusing on skill development and job opportunities. There is no denying the fact that a café revolution has taken over India and the revolution is including the marginalized in its wake. All over India there are cafes run by people who would otherwise find it difficult to get employment. 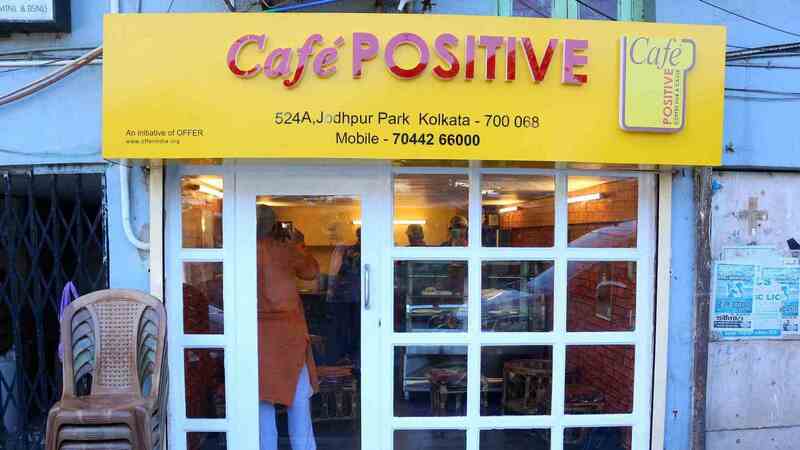 Café I CanFlyy might be the first café run by special needs individuals but Kolkata has another first in this count – Café Positive, the first café in Asia run by HIV+ young people. This café is tucked away in a small garage in Jodhpur Park in South Kolkata. It took six months for Kallol Ghosh, the brain behind the café, who belongs to the NGO Offer to find a place to start the coffee shop. The owner of the garage Indrajyoti Dasgupta moved his car out and gave them the space because he wholeheartedly believed in the initiative. Since then Café Positive has got the attention of national and international media, and also an overwhelming customer footfall. The teenagers who manage the cafe, were abandoned when their parents found out that they were HIV+, and grew up in Anandaghar, a home for such children run by Offer. After attaining training in running a café the hunt for space began. Just when the young people seemed be be giving up hope the garage space was the solution. The decrepit space was soon turned into a bright spot with red brick walls and low seating space. It’s been opened only two months ago but people are thronging Café Positive and sharing the positivity on social media. Long before these two cafes started in Kolkata the Sheroes Hangout in Agra has been leading the way. The café opened in 2014 and is run by acid attack survivors. Done up in vibrant colours and cosy wicker chairs with a book corner and space for selling clothes and trinkets, Sheroes Hangout has obtained wonderful reviews everywhere. The place is frequented by foreigners and Indians alike. While the café has provided a much needed platform to the survivors of this gruesome ordeal, giving them a new hope is the best part of the business model. There is no price on the menu – you pay whatever you think is the right price. That’s why at Sheroes there are book launches, social awareness conferences and music sessions, through which people can be alerted of the circumstances, consequences and aftermath of an acid attack. 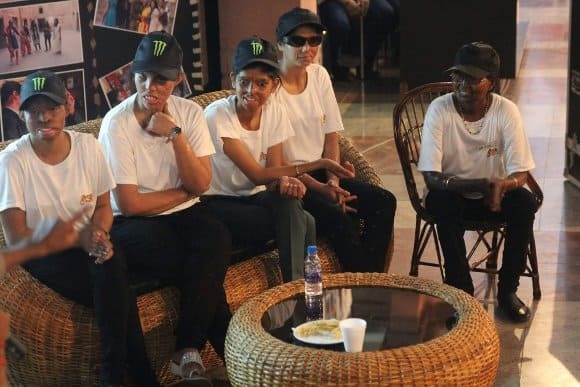 What Sheroes Café is doing for acid attack survivors, Writers Café in Chennai has done for burn survivors, who find it equally difficult to find employment and grapple with self pity. Started and funded by restaurateur M Mahadevan, the profits from the café go to International Foundation for Crime Prevention and Victim Care (PCVC), which works closely with the cafe. The ladies are trained by a Swiss Chef and some are even sole breadwinners of the family. The cafe has several interesting spaces for groups big and small, plus an open restaurant area. A mini bookshop with books from Higginbothams, adds to the charm. The Citizen Matters Chennai team counts it among their favourite hangouts. 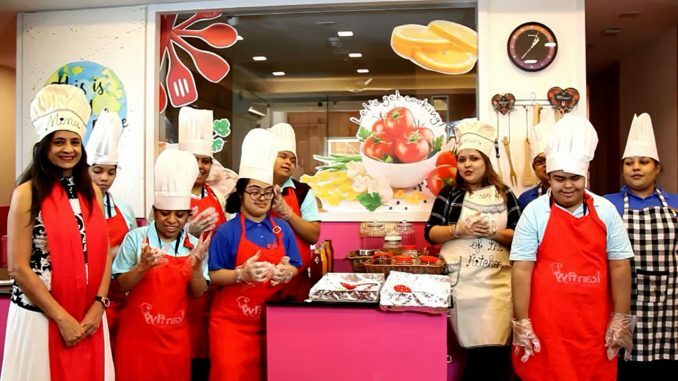 Taste of Darkness, in Hyderabad and Bengaluru, is run by blind people, Mirchi and Mime in Mumbai is handled by the speech and hearing impaired and Nukkad, The Teafe in Raipur, Chhatisgarh is run by deaf and mute staff. This café is part of the Dialogue in the Dark initiative that was started in Germany in 1988 and brought to India by SV Krishnan in 2011. One can go for the entire experience where canes are handed to visitors before entering the zone and they are guided by the visually impaired people. This has been helping sensitize people towards the blind and people also realize the importance of other senses once they plunge into darkness. Apart from food there is the option of an exhibition tour, workshops and special workshops for school children. Mirchi and Mime, in Mumbai’s Powai suburb, is a complete Indian restaurant helmed by an international chef, and boasts of tasteful décor. Members of the staff interact in sign language and there are numbers on the menu and basic heads up on sign language that you can use when you order. In fact, diners are encouraged to order in sign language. Restaurant owners Prashant Issar and Anuj Shah want to make Mirchi and Mime into a chain of 18 restaurants with presence in Dubai and Singapore. They have already opened Madeira and Mime in Mumbai and want to employ 4000 speech and hearing impaired (SHI) people in their restaurant chain in future. In order to communicate with the staff the owners learned sign language themselves. Some members of their staff got married after joining the restaurant because of their new-found financial independence and some got promoted to managerial posts. Nukkad was started in Raipur long before Mirchi and Mime, although on a smaller scale. It also employs only SHIs and has rules like one has to deposit one’s mobile before entering the café. Owner Priyank Patel feels happiest when he sees regular customers picking up sign language. After serving a term in jail, people often find it tough to find employment. That’s how the idea of Tihar Food Court came up. 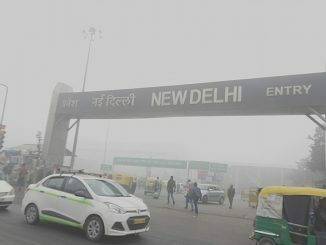 Now for most tourists a visit to Delhi is incomplete without a trip to Tihar Food Court. Inmates, who are nearing the end of their term in the jail, are imparted training and then absorbed in the food court staff so that they get the experience needed to find a job after release. Even while in jail they are allowed to travel by cycle, unescorted, to work in the Food Court, from the jail dormitories which is half a kilometer away. It is a fairly large space with accommodation for 50 people and a varied menu. The Book Café in Shimla, which is run by inmates of the open-air jail there, has also become a huge tourist attraction. The staff is serving life terms but they feel being in touch with the outside world have changed their lives. With books in focus, it has become a place frequented by literary figures and where book readings and book launches are held frequently. The café revolution in India with its focus on awareness, employment generation and financial independence have truly given a new lease of life to the marginalized. 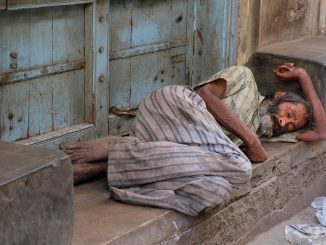 Even though the National Urban Livelihoods Mission prescribes permanent, 24X7 shelters for the urban homeless, most of our cities can accommodate less than six percent of such population in the official shelter homes. Wonderful and Heart Warming. A lot of us are second/third liners .. waiting for some front liners to take the Initiatives head on .. and then extend support to them. It is equally great that there are many Front liners .. and so many second liners .. willing to embrace them to make them succeed. Very encouraging signs for both the Front-liners and second-liners. They are all making us learn more and more Empathy for a win-win World. Regards.